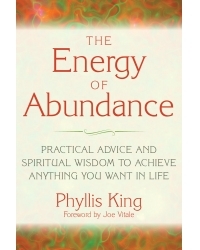 The Energy of Abundance is a fresh, insightful, and often humorous view of life, spirituality, and the creative process. It explains in accessible language the “energy game,” and how each of us can play it to invite more happiness, love, and abundance into our lives. Succinct and practical, this book reveals each person’s unique and personal dance between spiritual truths and human desires. If you have ever wondered why the law of attraction hasn’t worked for you, The Energy of Abundance will help you figure it out. Phyllis King is the founder of the King Mastery Institute. She has mentored tens of thousands of people in 20 different countries. An intuitive coach, speaker, and radio host, she is known for her practical and down-to-earth approach, using humor and compassion to deliver her message. Phyllis has been featured on CBS and NBC TV and on radio programs across the country, and has been published in more than 70 print and online publications. She holds a BA in sociology and lives and practices in the San Francisco Bay area.